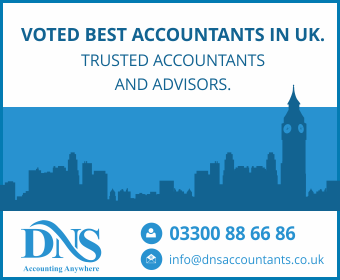 DNS Associates – Accountants in Wembley, is one of the largest assurance, tax accounting, and advisory firm in the United Kingdom. With expertise in helping owner managed businesses, freelancers and contractors, we deliver accounts, taxation, financial advisory and consulting services to clients throughout the country, including Wembley. DNS specializes in Limited company accounting; taxation consulting, tax investigation, tax planning and all our partners and senior staff members are qualified professionals or members of professional accounting bodies such as Chartered Institute of Management Accountants (CIMA), Association of Chartered Certified Accountants (ACCA) or hold university degrees from well-accredited universities. Hassle free services – Our team is very passionate about delivering what has been committed to the clients. Our tax accountants and agents in Wembley always give the best advice, and explain things clearly and set the whole thing up to run in a streamlined, hassle-free way. Proper tax planning – Our taxation accountants in Wembley ensures that, through proper tax guidance and planning, our clients keep as much of their well-merited cash as possible and by no means pay more tax than they need to. Online accounting services – Our cloud based one-stop accounting solution has already generated interest in the professional accounting community and with its quick and easy to use features we are able to give clients a 24x7x365 real-time view of expenses, tax liabilities and the available current assets. We manage and monitor the accounts and ensure that all the client issues, whether it’s PAYE or HMRC or VAT are addressed accurately, removing the administrative burden of running a company. Work flow management – Important dates and the dues are communicated well in advance. We manage all the filing activities hence; no tax deadlines will ever be missed. Our chartered accountants bring a fresh viewpoint to complex tax obligation issues. DNS Accountants – accounting firm in Wembley, provide accountancy & taxation consulting that meet the needs of local small businesses and tax payers, in and around Wembley and surrounding areas. Our services are bookkeeping to tax advice and savings, Value Added Tax (VAT), business plans and many more. Statutory Accounts – Each company registered at Companies House is under a legal commitment to prepare and submit annual accounts. Our expert team of chartered Accountants at Wembley explains every step and ensures complete transparency right through the process. Actual performance, costing information and break-even turnover levels, compared to budget forecasts. We, DNS Accountants – tax accountants in Wembley, offer support & guidance to small businesses and individuals who are concerned about meeting their legal commitments as we help them reduce their tax obligations. Self Assessment and Tax Return (Income Tax) – It is essential for many businesses, individuals and sole traders to complete their tax returns on time and even more important to minimize the tax exposure once earnings go above the NIL tax rate threshold. DNS Accountants expert taxation accountants in Wembley help our clients to prepare tax return accurately and promptly. Inheritance Tax – Tailored wealth succession can be complicated. Tax Investigations And Disputes – It can be hard to settle disputes or handle investigations arising from either HMRC investigations or employment concerns. With years’ of experience in dealing with tax inquiry and investigation, our Chartered Accountants and Tax Accountants in Wembley, can help businesses resolve any investigations they are faced with and avoid legal action in disputes. DNS Accountants – accounting firm in Wembley, have a team of experienced and qualified chartered accountants providing specialized accountancy and tax services that are tailored to the personal and business needs of small-businesses, freelancers and contractors. We are focused on providing personal and professional services to local businesses operating in Harrow, Watford, Wimbledon, Sunbury, and Greenwich.